SAN ANTONIO, Texas - The last orca to be born in Texas at a SeaWorld park, which popularized killer whale shows in the 1960s but faced growing opposition in recent years, has been born at SeaWorld San Antonio. Veterinarians at the park have not yet determined the gender of the calf, but said the baby and its mother Takara are in good shape and being monitored closely. Attendance at SeaWorld Entertainment Inc's theme parks has been falling amid negative publicity and criticism from animal rights activists upset by the treatment of captive marine mammals. Takara was already pregnant when the company said last year that it was suspending its captive breeding program and phasing out killer whale shows at its three parks in Orlando, Florida, San Diego, California and San Antonio. 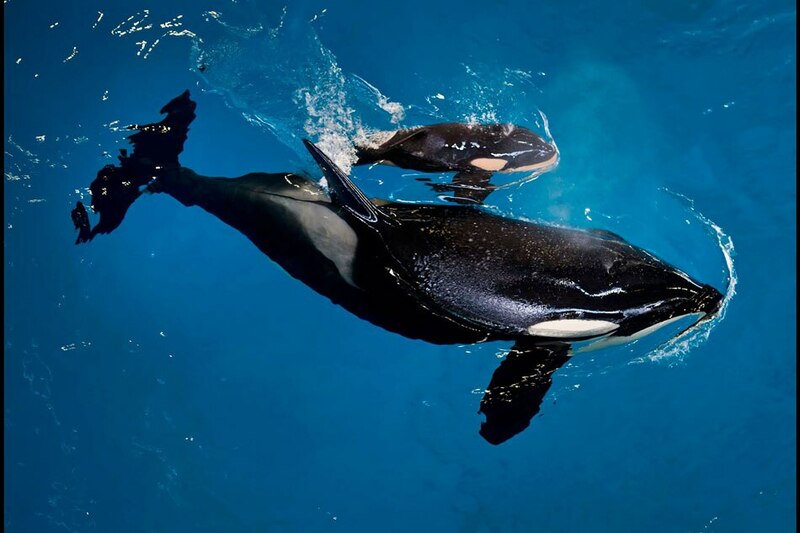 "This is the last one, and that makes this a particularly big deal," SeaWorld Chief Zoological Officer Chris Dold said of Wednesday afternoon's birth. "It is a bit bitter sweet. We love these killer whales." The calf was born after an 18-month gestation and is estimated to weigh between 300 and 350 pounds (136 and 159 kg) and measure between 6 and 7 feet (1.8 to 2.1 meters), SeaWorld said. It was 25-year-old Takara's fifth birth. SeaWorld's vice president of veterinary services, Dr. Hendrik Nollens, it will be the last chance for researchers to study orca development in ways that cannot be done in the wild. Animal rights group People for Ethical Treatment of Animals (PETA) said SeaWorld should move Takara and her calf from their tank to an "ocean sanctuary," an area of sea enclosed by nets. "There are a lot of people willing to help. There are companies that have stepped forward and offered major donations," said PETA's corporate affairs specialist, Stephanie Shaw. "These types of seaside sanctuaries are very doable."